Maintaining the right-of-way (ROW) is very important to provide safe and reliable electricity to our member-owners. The ROW refers to the strip of land underneath or around power lines that your electric cooperative has the responsibility to maintain and clear. Vegetation must grow at a distance far enough from conductors where it will not cause harm to individuals or disruption of electrical service. Clearing ROW is critical to keeping our members lights on. Our brush crew works year-round maintaining an aggressive right-of-way program by clearing and spraying vegetation, limbs, brush and foliage. 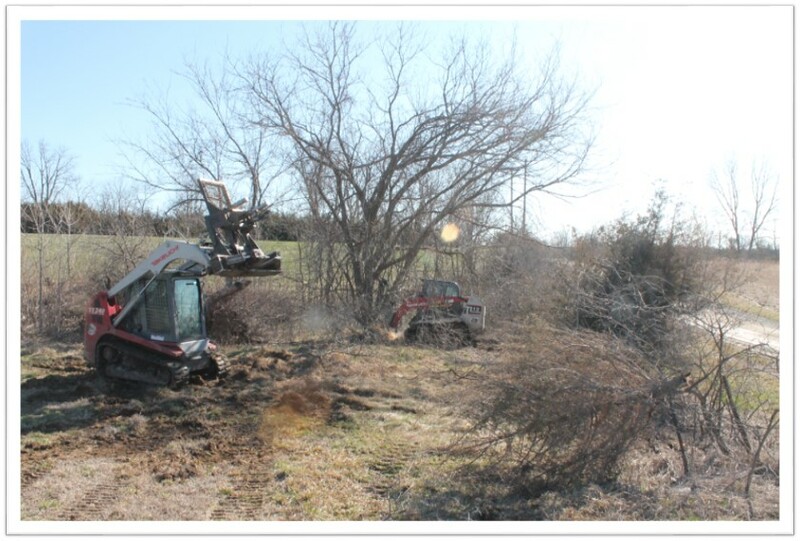 Grundy Electric Cooperative maintains an aggressive right-of-way program which includes cutting, clearing and spraying vegetation. This program is important in our continuing effort to provide safe and reliable electric service to members. If it is determined that a lawn tree is growing in the right-of-way and interfering with electric service, Grundy will provide the property owner a replacement tree to be planted in a different area of the yard. A member would be given a choice of four species of trees as a replacement. These trees would be approximately 5 to 6 feet in tall. 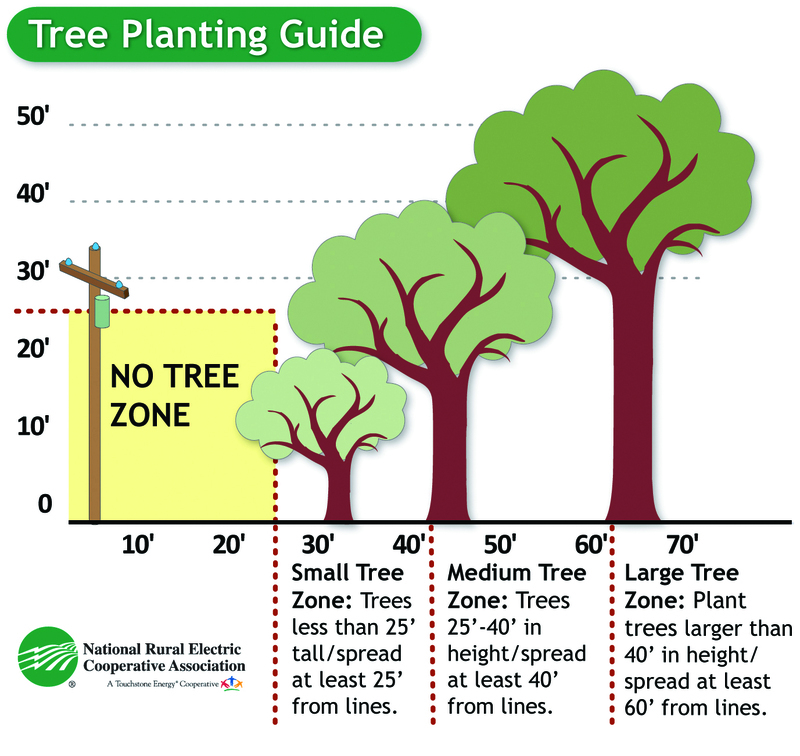 All trees should be planted according to the chart. The location of the new tree will be the homeowner's choice provided it is within recommended distance from the power lines. Call to learn more about our safety program regarding both tree trimming/replacement program. Questions? Give us a call at 1-800-279-2249.